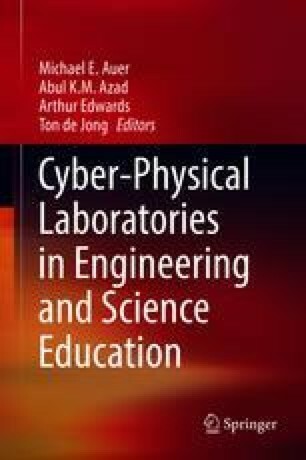 In this chapter, we report upon the iterative development of an online instructional unit featuring virtual laboratory activities that target the physical science concepts of density and buoyancy. We introduce a virtual laboratory activity that was designed to facilitate exploration of the relationship of mass and volume to buoyancy. We evaluate the virtual laboratory by measuring the extent to which it fosters meaningful experimentation, appropriate interpretation of evidence, and discovery of new ideas. In the first revision, we simplified the exploratory tools. This revision supported better interpretation of evidence related to a specific claim, but limiting potential for discovery of new ideas. In the second revision, we introduced an intuitive graph-based interface that allowed students to specify and rapidly test properties of virtual materials (i.e., mass and volume). This revision facilitated meaningful exploration of students’ ideas, thereby supporting both valid interpretations of evidence related to false claims and discovery of new ideas. We discuss the role that virtual laboratories can play in the design of all laboratory activities by tracking student strategies and offering opportunities to easily test new features.